 Deftly beguiling sequel to a Gen-X soap opera (Our Noise, 1995) about the misadventures of the Virginia bar band Bottlecap. Beginning where Our Noise left off, Mark, Gary, and Steve have ditched their hometown manager, jilted their girlfriends, and burned every bridge they can to take an all-expense-paid trip to Los Angeles, where they plan to record their first CD for Subterfuge Records, a trendy ``alternative'' label now owned by a giant Japanese entertainment conglomerate. While bassist Gary and drummer Steve pillage the mini-bar of their way-cool Mondrian Hotel suite, guitarist Mark naively signs a deal memo with weirdly blue-eyed Henry James, a record company executive who then announces that, after listening to a tape of Bottlecap's earlier songs, he doesn't ``hear a single'' that radio stations would want to play. Wondering if he hasn't made a deal with a devil, Mark bumps into Corrine, a film studio production assistant, who seems to enjoy him for reasons that have nothing to do with his affluent parents or the music he plays. While moving into a condo owned by Subterfuge, Steve meets Sam, an unemployed actor and drug dealer whose neurotic friendship will ultimately doom the band. Meanwhile, Gary, envious of Mark's success with women, finds salvation in doing his laundry. 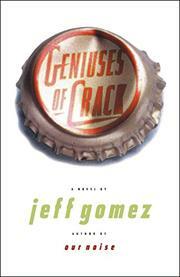 The collision between Bottlecap's artistic pretensions and the record company's commercial interest is no surprise, but Gomez inventively dodges every clichÇ: His Hollywood settings find depth in the very fact of so much shallowness, and his clueless slackers find far more than they deserve as they traipse down the boulevard of broken dreams. A gentle, broadly appealing tale of fumbling love and slick betrayal from a writer who's been there, done that, and still has plenty to say.